Step 1 :: Fill out our quick online application form here for us to better know more about you and your background. 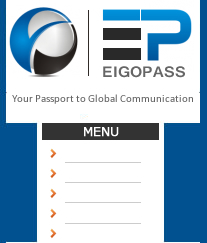 Step 2 :: We will then meet with you to explain our system before accepting your first EigoPass trial lesson. Step 3 :: When a student registers within your area and matches your profile, we will contact you to arrange a trial lesson. Step 4 :: If the trial lesson goes well and the student chooses you, we will forward the students contact information to you and arrange your first lesson. As you may already know, EigoPass is a leader in helping teachers find students in Japan. From the minute you register with us, we will always be with you every step of the way. From finding students and arranging trial lesson to offering guidance and support regarding any concerns you may have, you can count on us to be there. The following three key areas will better help you understand the services we offer and how we work. More time to focus on teaching!